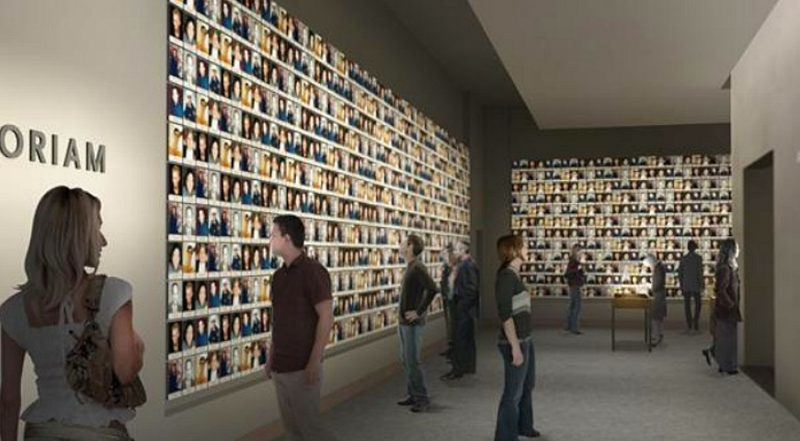 This entry was posted in Thursday Re-View and tagged 9/11 Memorial, 9/11 Museum. Bookmark the permalink. So powerful and poignant, Theresa. The experience was exactly that. Every week, we get reminded of these horrors. It was – and is – my privilege. I’ve been meaning to visit the museum…your post has encouraged me to do it soon. Though it was many years ago…I still remember this day vividly…As I’m sure many do too. Thanks, Theresa! I am glad this post brought the museum alive for you. Do visit it; it is heart-wrenching yet uplifting at the same time. ‘Out of many – One’. This. This makes me cry and hope. There is always hope in the midst of despair.